Like so many kids, eight-year-old Layla Murphy became a Star Wars fan through her father’s love of the saga. However, when she wore her Star Wars clothes to school, the other girls started picking on her. Being a kid is hard sometimes, and kids can be cruel. Well, The 501st Legion stepped in to offer their encouragement for Layla to be herself. They sent her patches, stickers and trading cards to show her support. 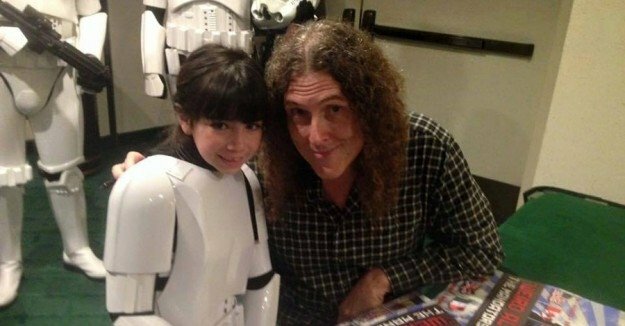 She also got to wear some awesome Stormtrooper armor and meet Weird Al. I would say she is winning over those stupid bullies.